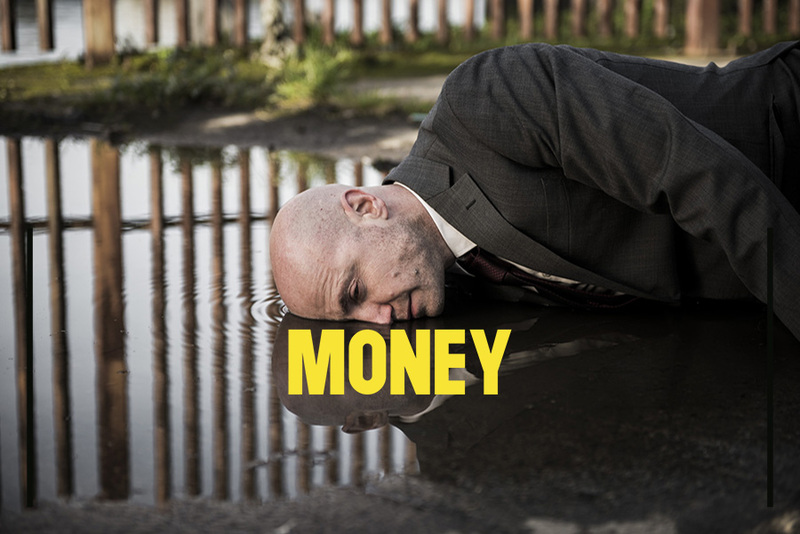 Money, written and performed by Peter Daly, showing at The Complex in Little Green St, traces the political, economic and financial decisions that almost wrecked the Irish economy forever, ten years ago. Given his professional training as a chartered accountant and his experience as an established actor, Daly is uniquely well positioned to tackle the whole issue. He explains what happened, how it happened, who the key players were, how they operated – and the catastrophe that resulted. Props are minimal, chosen with brilliant economy to illustrate the intricacies of economics, of borrowing and lending mechanisms. The occasional image or news footage hits anyone who lived through it all like a kick in the groin. We see Brian Cowen drinking champagne from a bottle by the neck; Bertie Ahern, the Taoiseach and Minister for Finance who never held a bank account, a parade of bankers whose exploits have made them household names for all the wrong reasons. If this all sounds very heavy, well… it is. But it is a measure of Daly’s skill that he compresses the whole awful saga into seventy-five minutes without losing our attention. It is like a particularly skilful current affairs television programme but without the stilted format and the lazy formula of inviting audience comment, so overused in television current affairs programmes. There are momentary flashes of humour, wry observations and asides. Daly humanises the dry, dismal facts, referring to key points in his own life and how it was affected by what happened. The balance between professional detachment and personal involvement is perfectly judged; there is never a chance that it will descend into an angry rant. The show continues tonight and tomorrow, 14th and 15th of March, 2018 at 6.30pm. It is part of the Where We Live project by Thisispopbaby. A series of plays, talks and concerts that runs until March 19th as part of the St. Patrick’s Festival.